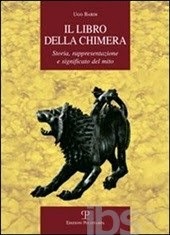 Chimeras: Of his return: a Roman patrician tells of how he lived the collapse of the empire. The 5th century saw the last gasps of the Western Roman Empire. Of those troubled times, we have only a few documents and images. Above, you can see one of the few surviving portraits of someone who lived in those times; Emperor Honorius, ruler of what was left of the Western Roman Empire from 395 to 423. His expression seems to be one of surprise, as if startled at seeing the disasters taking place during his reign. At some moment during the first decades of the 5th century C.E., probably in 416, Rutilius Namatianus, a Roman patrician, left Rome to take refuge in his possessions in Southern France. He left to us a report of his travel titled "De Reditu suo", meaning "of his return" that we can still read today, almost complete. Fifteen centuries after the fall of the Western Roman Empire, we have in this document a precious source of information about a world that was ceasing to exist and that left so little to us. It is a report that can only make us wonder at how could it be that Namatianus got everything so badly wrong about what was happening to him and to the Roman Empire. And that tells us a lot about how it is that our elites understand so little about what's happening to us. To understand the "De Reditu" we need to understand the times when it was written. Most likely, Namatianus came of age in Rome during the last decades of the 4th century, during the reign of Theodosius 1st (347-395 C.E.) the last Emperor to rule both the Western and the Eastern halves of the Empire. 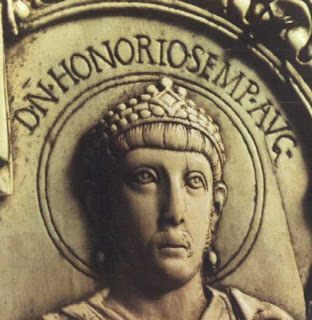 When Theodosius died, in 395 C.E., there started the last convulsions of the Western Roman Empire, that would lead to its formal demise in 476 A.D. But, at the times of Namatianus, there still were Roman Emperors, there still was a Roman Senate, there still was the city of Rome, perhaps still the largest town in Western Europe. And there still were Roman armies charged to defend the Empire against invaders. All that was to disappear fast, much faster than anyone could have guessed at that time. Namatianus must have been already an important patrician in Rome when Stilicho led what Gibbon calls "the last army of the Republic" to stop the Goths coming down toward Rome in a battle that took place in 406 C.E. Then there was the downfall of Stilicho, executed for treason on orders of Emperor Honorius. Then, there came the invasion of the Goths under Alaric 1st and their taking of Rome in 410 C.E. In total, Namatianus saw the fall of seven pretenders to the Western throne, several major battles, the sack of Rome and much more. Those troubled times saw also a number of figures we still remember today. Of those who were contemporary to Namatianus, we have Galla Placidia, the last (and only) Empress of the Western Roman Empire and it is likely that Namatianus knew her personally as a young princess. Namatianus must also have known, at least by fame, Hypatia, the pagan philosopher murdered by Christians in Egypt in 415 CE. He also probably knew of Augustine (354-430), bishop of the Roman city of Hippo Regius, in Africa. There are more historical figures who were contemporaries of Namatianus, although it is unlikely that he ever heard of them. One was a young warrior roaming the Eastern plains of Europe, whose name was Attila. Another (perhaps) was a warlord of the region called Britannia, whom we remember as "Arthur." Finally, Namatianus probably never heard of a young Roman patrician born in Roman Britannia, someone named "Patricious" (later known as "Patrick"), who would travel to the far away island called "Hybernia" (today known as Ireland) some twenty years after that Namatianus started his journey to Gallia. But who was Namatianus, himself? Most of what we know about him comes from his own book, De Reditu, but that's enough for us to put together something about him and his career. So, we know that he came from a wealthy and powerful family based in Gallia, modern France. He attained prestigious posts in Rome: first he was "magister officiorum;" something like secretary of state, and then "praefectus urbi," the governor of Rome. During those troubled times, the Emperors had left Rome for a safer refuge in the city of Ravenna on the Eastern Italian coast. So, for some time, Namatianus must have been the most powerful person in town. He was probably charged with defending Rome from the invading Goths; but he failed to prevent them from taking the city and sacking it in 410. Maybe, he also tried - unsuccessfully - to prevent the kidnapping by the Goths of the daughter of Emperor Theodosius 1st, Galla Placidia, who later became empress. He must also have been involved in some way in the dramatic events that saw the Roman Senate accusing Stilicho's widow, Serena, of treason and having her executed by strangling (these were eventful years, indeed). We don't know if any or all these events can be seen as related to Namatianus' decision to leave Rome (perhaps even to run away from Rome). Perhaps there were other reasons, perhaps he simply gave up with the idea of staying in a half destroyed and dangerous city. But, for what we are concerned with, here, we can say that if there was one person who could have a clear view of the situation of the Empire, that person was Namatianus. As prefect of Rome, he must have had reports coming to him from all the regions still held by the Empire. He must have known of the movements of the Barbarian armies, of the turmoil in the Roman territories, of the revolts, of the bandits, of the usurpers, and of the emperor's plotting. In addition, he was a man of culture, enough that, later on, he could write a long poem, his "De Reditu." Surely, he knew Roman history well, as he must have been acquainted with the works of the Roman historians, Tacitus, Livy, Sallust, and others. "I have chosen the sea, since roads by land, if on the level, are flooded by rivers; if on higher ground, are beset with rocks. Since Tuscany and since the Aurelian highway, after suffering the outrages of Goths with fire or sword, can no longer control forest with homestead or river with bridge, it is better to entrust my sails to the wayward." Can you believe that? If there was a thing that the Romans had always been proud of that was their roads. These roads had a military purpose, of course, but everybody could use them. A Roman Empire without roads is not the Roman Empire, it is something else altogether. Think of Los Angeles without highways. Namatianus tells us also of silted harbors, deserted cities, a landscape of ruins that he sees as he moves north along the Italian coast. But, if Namatianus sees what's going on, he cannot understand why. He can only interpret it on as a temporary setback. Rome has seen hard times before, he seems to think, but the Romans always triumphed over their enemies. It has always been like this and it will always be like this; Rome will become powerful and rich again. Namatianus is never direct in his accusations, but it is clear that he sees the situation as the result of the Romans having lost their ancient virtues. According to him, it is all a fault of those Christians, that pernicious sect. It will be enough to return to the old ways and to the old Gods, and everything will be fine again. That's even more chilling than the report on the decaying cities and fortifications. How could Namatianus be so short-sighted? How can it be that he doesn't see that there is much more to the fall of Rome than the loss of the patriarchal virtues of the ancient? And, yet, it is not just a problem with Namatianus. The Romans never really understood what was happening to their Empire, except in terms of military setbacks that they always saw as temporary. They always seemed to think that these setbacks could be redressed by increasing the size of the army and building more fortifications. And they got caught in a deadly spiral in which the more resources they spent in armies and fortifications, the poorer the Empire became. And the poorer the Empire became, the more difficult it was to keep it together. Eventually, by the mid 5th century, there were still people in Ravenna who pretended to be "Roman Emperors", but nobody was paying attention to them any longer. So, Namatianus provides us with a precious glimpse of what it is like living a collapse "from the inside". Most people just don't see it happening - it is like being a fish: you don't see the water. And, then, think of our times. You see the problem? The "De Reditu" arrived to us incomplete and we don't know what was the conclusion of Namatianus' sea journey. Surely, he must have arrived somewhere, because he could complete his report. Most likely he did reach his estates in Gallia and, perhaps, he lived there to old age. But we may also imagine a more difficult destiny for him if we refer to a contemporary document, the "Eucharisticos" written by Paulinus of Pella, another wealthy Roman patrician. Paulinus fought hard to maintain his large estates in France, despite barbarian invasions and societal collapse, but he found that land titles are of little value if there is no government that can enforce them. In old age, he was forced to retire in a small estate in Marseilles, reporting that, at least, he was happy to have survived. Perhaps something similar happened also to Namatianus. Even those who don't understand collapse are condemned to live it. Thanks for this account, Ugo. It adds something to Bryan Ward-Perkins The Fall of Rome and the End of a Civilisation"
Regarding Roman roads and other connectivity, I guess you would find this study interesting. I particularly like the maps including "Time cost from Rome, at high military speed (summer)"
Thank you for lesson of Namatianu, particularly: your observation/question about vision ,how quick blame was cast in response to problems, and the desire to turn the clock back to better times of the ancient. Despite attempts to keep reality static, Time continues to conclude in Empires rise and fall through a normal process of evolution. I believe this is not a problem rather a feature of us people and the world. May we sometime evolve past this ever repeating pattern? Would this be a good ? I understand the man; he is much like me, except my plebeian status cares less to explanations of problems than reasoned actions needed to resolve them around life support. Perhaps that is why Namatianu took a sea voyage, to escape and survive. I don’t know the values of his times. Maybe Namatiarnus did not see because he would be responsible for what he saw? Or was he blind because of a neurological problem where his vision was confined to delusions of desire? Perhaps the gods tricked him? No matter, I’m happy to find your writing and appreciate your time. There are other clues to this phenomenon of 'blindness to what is'. The last person to recognise or admit a problem with alcohol is the alcoholic. Similarly with many if not all serious addictions, including our current economics and life style (once 'western' but now 'global'). And even if one does recognise or admit to it, what does one do? The orchestra playing on the deck of the Titanic as it went down, provides one indication. Looks like you are perusing my blog! Thanks for the interest!